While you're still hungover Zhou Jieqiong's last single "Why," let's take a look at some of her photos below because she was just recently featured by Cosmopolitan. If Kyulkyung already looks dazzling while performing, she also comes naturally as a model. One of her shots even came with a historical red dress. 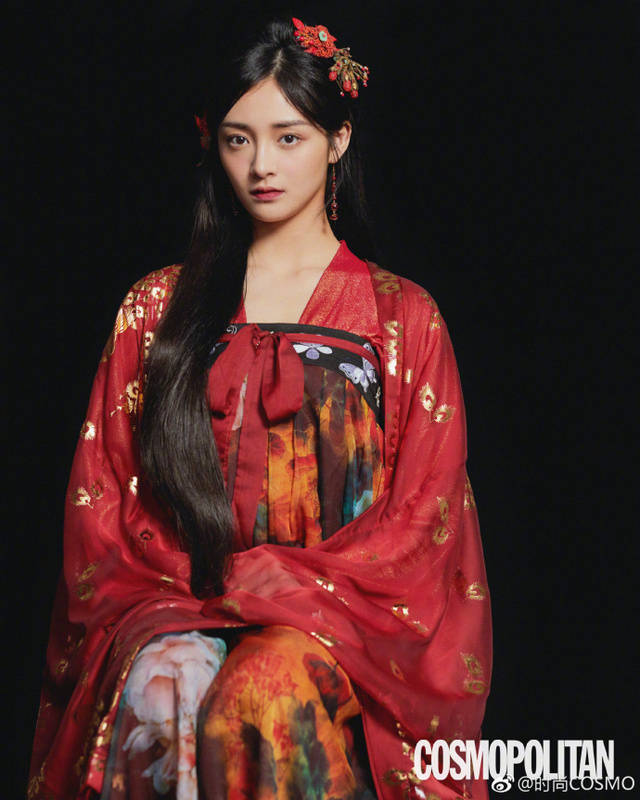 Maybe she'll be casted for one of the next historical dramas this year, who knows? It looks undeniably good on her. 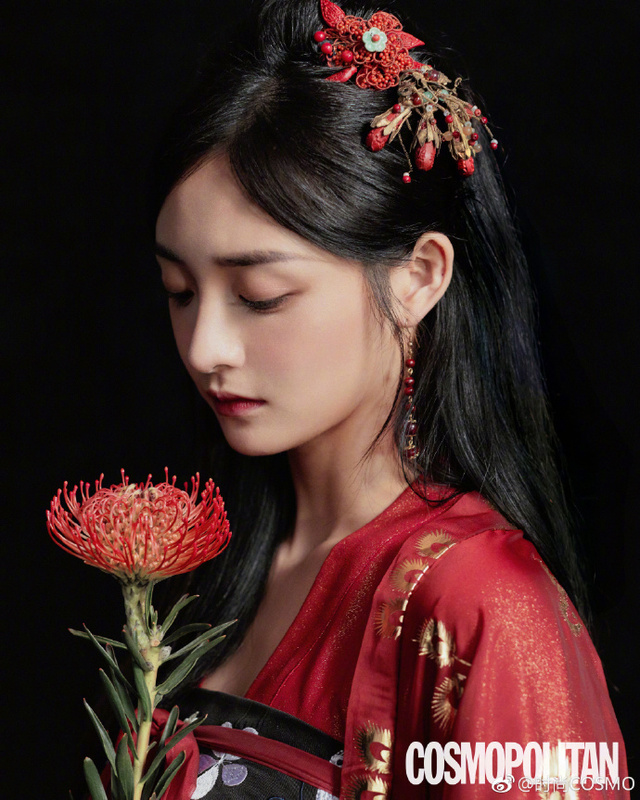 She looks just like a young Yang Mi in some of the pictures. That's funny, when I saw the first picture I thought she reminded me of a young Zhou Xun. But after seeing your comment I definitely agree, the third pic especially she strongly resembles Yang Mi. ...But then in the 4th pic, I thought she looks like Lin Yun. XD Lol.Quite funny since none of those 3 actresses look alike to one another. Anyways, I've never heard of her before but she is definitely very pretty, and has quite a versatile look! She's originally from a kpop idol girl group called Pristine. First saw her in Produce 101 and loved how sweet and hard working she is :) Im glad to see she is getting more recognition in her homeland China and look forward towards her future projects. Her beauty is indeed very unique. 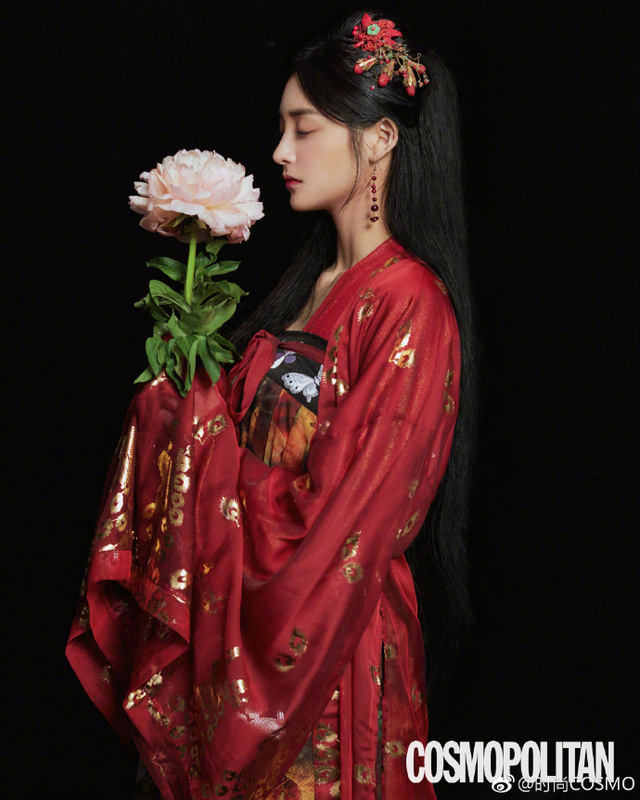 Photo #3 and #4 definitely looks like Yang Mi <3. She's very beautiful! She reminds a bit of a less plastic version of Yang Mi but much prettier.